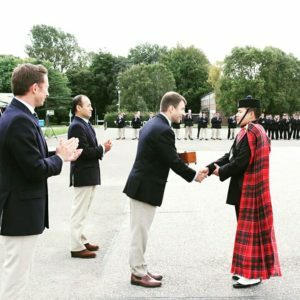 I have been in the Regiment as a Piper for just over a year and a half, and have recently finished my All Arms Class 2 Piper Course. It is now an entirely accepted aspect of life that the Army has Pipers and Pipe Bands and that they are trained and tested for a full career as a professional piper, but very little is known about how, where and what is done in the training process. Everything that a Piper would have to do back in his Regiment is trained at The Army School of Bagpipe Music and Highland Drumming (ASBM&HD) which is an Army School of Instruction located at Inchdrewer House, Colinton Road, Edinburgh. This establishment is commanded by the Commanding Officer Headquarters Infantry Training Centre, Catterick and sits within the Army Recruiting and Training Division. The Colonel Commandant of the Royal Regiment of Scotland is responsible for all Army Piping Policy. The Officer Commanding the School, and its Chief Instructor is the Director of Army Bagpipe Music (DABM). The aim of the School is to improve the standard of piping, drumming and bugling in those Regiments authorised to have Pipes and Drums. Students are educated in the history of piping, music theory (which includes both reading and writing), playing the Great Highland Bagpipes, along with the foot drill required as part of a Pipe Band and the Highland fling. The course performs as a Pipe Platoon on their passing out parade. They also receive civilian qualifications from the Piping and Drumming Qualifications Board as well as Military Qualifications. The students also get the opportunity to be part of the cast and crew of the Royal Edinburgh Military Tattoo, depending on the number they require and the individual’s skill. 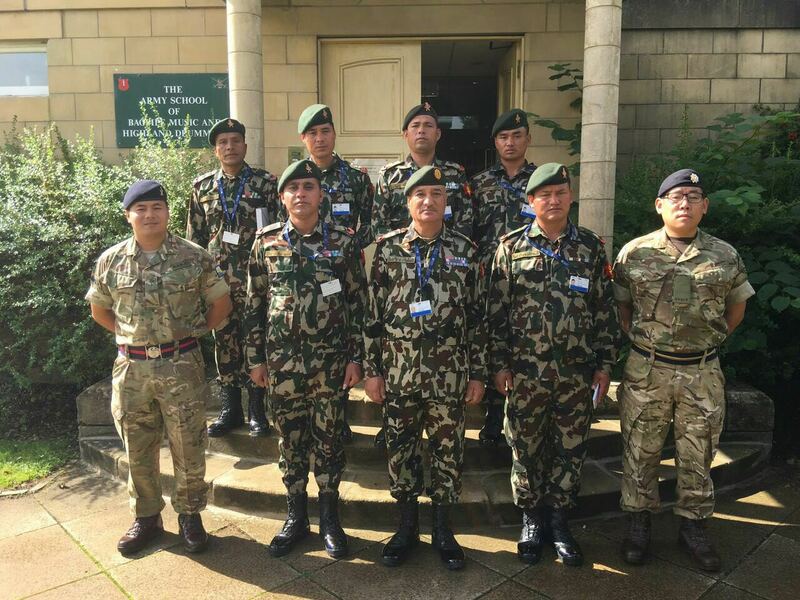 The Nepalese Army Band also took part in 2016 Tattoo Parade. I was delighted to have been on the Summer course and was chosen to help them as a mentor for the Nepalese Army Pipers and as a translator. I also got an opportunity to watch the Tattoo and talk with the band members from many overseas Army bands. Like every other courses you make many good friends and leave with precious memories. And finally, I would like to thank my Regiment for providing me a platform to explore piping in the Army and would like to encourage any interested individual to attend the course. As a Queen’s Gurkha Signals Piper I had the fortunate chance to perform at the 2015 Festival of Remembrance at the Royal Albert Hall as a member of the Brigade of Gurkhas Massed Bands. I also performed at the 2016 York Festival of Remembrance. I had the opportunity to play as a Lone Piper at HQ 11 Signal & West Midlands Brigade led Exercise ASIAGO REFLECT 2016 in Italy, which was to commemorate the WW1 battle of Asiago. I again performed at the Brigade Week Dinner Night as part of the Brigade of Gurkhas Massed Bands at Royal Military Academy Sandhurst (RMAS). I have also performed at various military and charity events throughout the year. At the QGS Regimental birthday the Regiment awarded the ‘Piper of the Year’ award 2016 which I was delighted to receive. My dream is to perform at the Royal Edinburgh Military Tattoo together with the Royal Signals Pipes and Drums in the future. Finally, I would like to thank my Regiment for providing me the platform to explore piping in the Army and would like to encourage any interested individuals to attend the course.